Part two of Edgar Reitz epic of German life though the 20th century. Part two of Edgar Reitz epic of German life though the 20th century. Epic German television miniseries sequel about the changing social and political conditions in West Germany during the 1960s and 1970s. Hermann (Henry Arnold) is a bitter young musician who is forced to leave his small home town in order to further his musical studies in Munich. Initially isolated and reserved, he gradually begins to make friends with the bohemian artists, film-makers and musicians in the city, at a time when political revolt against the conservative government is at an all-time high. As the story progresses over several years, the narrative focuses in turn on separate characters, shifting the perspective back and forth until a complete picture has been painted of this momentous period in modern German history. Epic German television miniseries sequel about the changing social and political conditions in West Germany during the 1960s and 1970s. Hermann (Henry Arnold) is a bitter young musician who is forced to leave his small home town in order to further his musical studies in Munich. Initially isolated and reserved, he gradually begins to make friends with the bohemian artists, film-makers and musicians in the city, at a time when political revolt against the conservative government is at an all-time high. 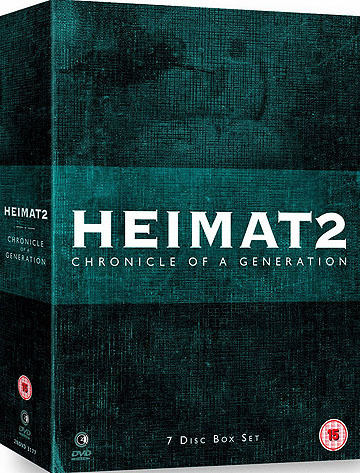 As the story progresses over several years, the narrative focuses in turn on separate characters, shifting the perspective back and forth until a complete picture has been painted of this momentous period in modern German history.